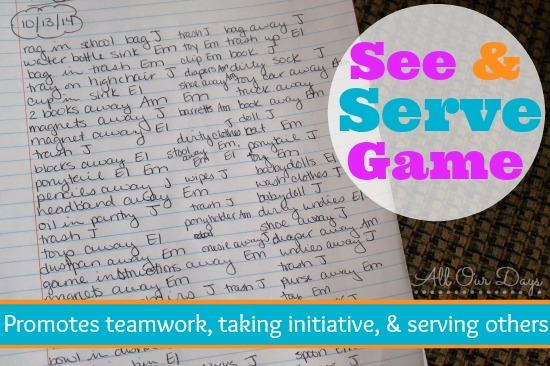 See and Serve is the name of a new game we’re playing in our home. As a parent of many little ones, I truly need their help to keep the house (at least somewhat) clean and tidy. However, while they each help with their own Morning High 5 and specific chores throughout the day, they don’t often go out of their way to help clean up something they didn’t mess up. I believe that for the most part the mess just doesn’t bother them. They look past the books on the couch and step right over the socks left on the bedroom floor. My kids are in the habit of being blind to the messes around them and I’ve been struggling to find a way to teach them initiative in serving in our home. Then I came across this wonderful way to train children to see ways they can serve the family and help in the home. 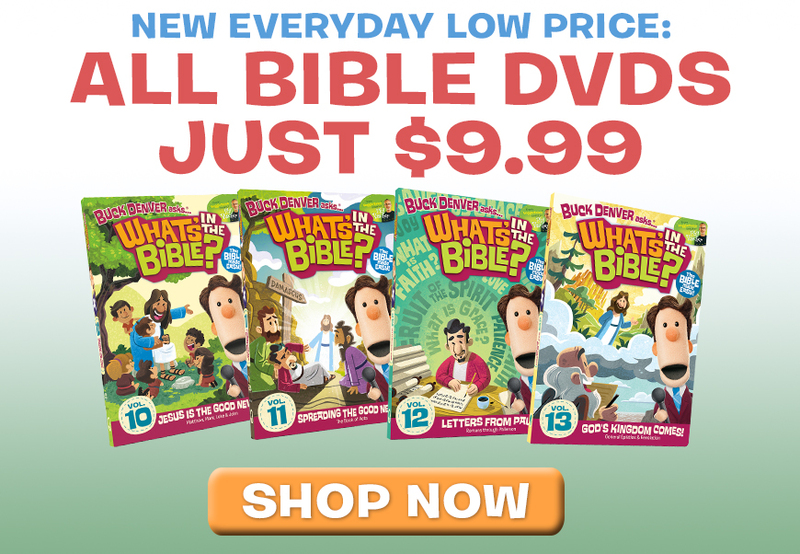 [tweetherder]Looking for a way to help your kids see opportunities to help at home? [/tweetherder] If so, this might be just the thing you need. In our house, I had no need to “plant” opportunities. I simply explained to the kids that we were going to take 15 minutes to look around the house for ways we could help the family. We talked about how we serve God by serving each other and how we should do all of our work for God. Then we set a family goal to find enough opportunities to serve in our home to fill an entire notebook page. We set the timer and we went to work. The kids searched through one room at a time since this was our first time and my kids are still pretty little. I carried my notebook with me and as each child completed a service opportunity they told me what they did and I wrote it in my notebook with their initial next to it. We didn’t compete, but I wanted an idea of which children were really working and a surefire way to see if any of them needed more practice. The kids were fairly thorough; pulling things out from under bookshelves and dressers, as well as picking up tiny pieces of paper and other trash. After 15 minutes, we had completely filled the notebook page. And even after the timer went off, kids continued to find things to pick up and put away! See and Serve will definitely become a regular occurrence in our home! Do you have any ideas for teaching serving and taking initiative in the home? We’d love to hear about them. Does this look like a game you’d like to play with your kids? Only my husband, my 22 year old son and I are at home. I’m thinking of ways we could put this to work! I home schooled my kids and always tried to think of creative ways to get the chores done! This is awesome! Yes, it is so important to teach our children to serve inside and outside of the home. Good job momma. Each time I have visited your blog, I am treated to another ingenious way to get children involved in their family by showing them that they matter and can make a difference. It is so heartening to me. If ever the Lord blesses me with a child, I pray He will flood our home with such wisdom. Thank you for investing in tomorrow – today. What wonderful idea! Our kids are all mostly out of the nest now, but I’ll keep this in my ‘grand mothering files’ for when that day arrives :).